Streaming music websites Soundcloud and Spotify are now accessible in Iran. Screenshot of a music channel based in Tehran called “Iran Music”. Iranian social media has been filled with celebratory posts since the sudden un-blocking of Soundcloud and Spotify music streaming services on October 17. Iranian tech news site Digiato reported the news on 18 October, describing the change as a great opportunity for Iran's music community. There is no doubt that the unfiltering of this popular service will be welcome news for artists and those active in the music community in Iran. On that same day however, users reported that the platforms’ mobile applications were still inaccessible on the networks of some telecommunications providers. The change doesn't bring much value for would-be Spotify users, who are still unable to register with the website, due to Spotify's internal corporate rules, which explicitly prohibit Iranians from using its services. The company has never officially explained the reason behind this rule. In the screenshot below, a user explains on a Spotify community forum that his access was recently blocked, even though his subscription came from the US. 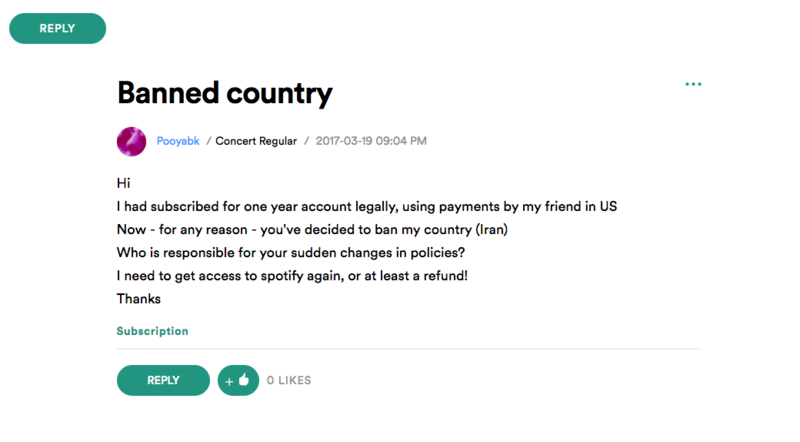 A screenshot of a Spotify user asking the company why his account was blocked in Iran, despite having registered through the US. Why were these sites unblocked? The government has made no comment on why these music platforms are suddenly accessible. Some Iranians have interpreted this silence to mean that this unblocking was a mistake by Iran's censors. Others interpreted the move as a deliberate effort to loosen restrictions on internet content. 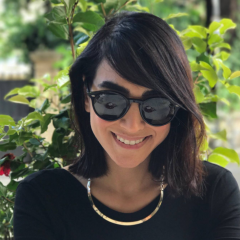 Blogger Pooria Asteraky thanked the new Minister of ICT, Azari Jahromi, for the decision to make the platforms accessible once again. Jahromi had previously signaled his intentions to unblock more websites for Iranians. He has also made noise about unblocking Twitter and YouTube, and has suggested that the government was keen to “negotiate” a plan for unblocking Twitter. This has not yet come to pass.